Marion console table was our first piece of the collection. 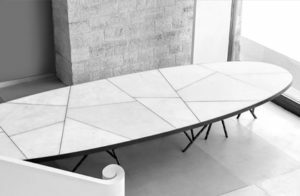 Designed in 2006 by Marion Biais-Sauvêtre, it inherits her creator’s name. This masterpiece is harmonious and tenacious. 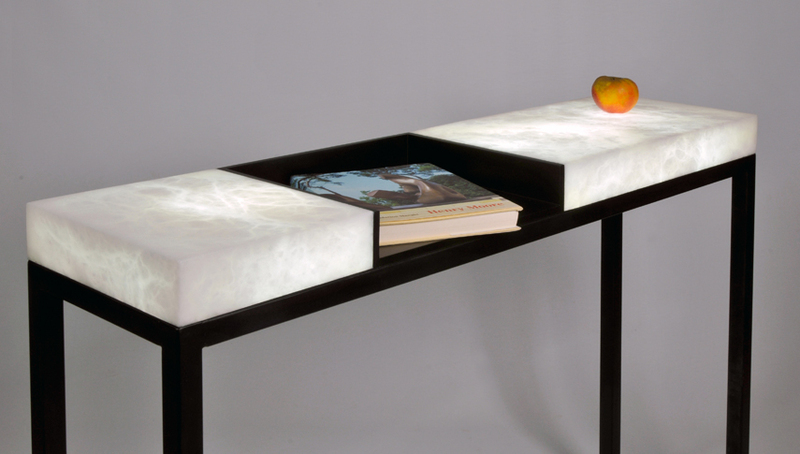 Easily integrable along a wall, its luminous alabaster pieces won’t stop being seductive.